So this week I was volunteering for the Melbourne Spring Fashion Week which was super crazy and exciting. 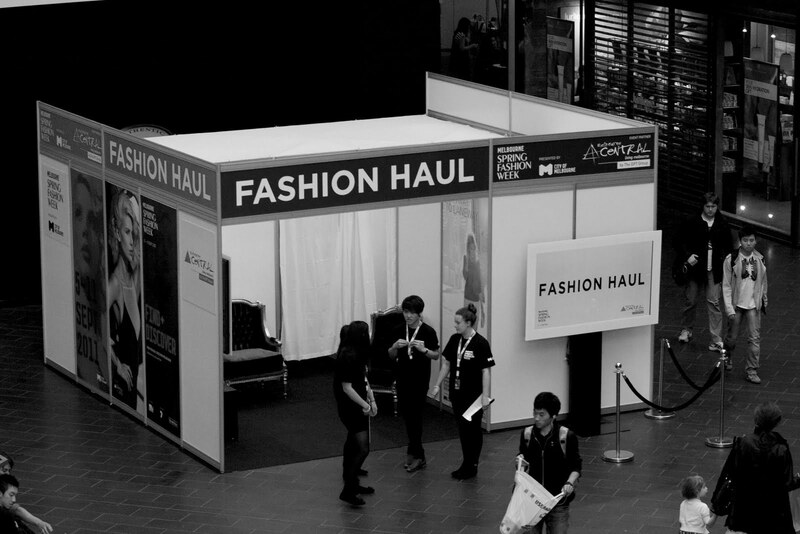 I got to work at the fashion haul (google it) at Melbourne Central and backstage dressing models. I love City of Melbourne events because there's always so much to do and see. I managed to score free tickets to a runway show which was rudely interrupted by PETA protesters. I'll upload more photos from the fashion show when I get them from my friend.